The Sunburst Band is a collective born out of Mr Lee’s passion for boogie, funk, disco and jazz. 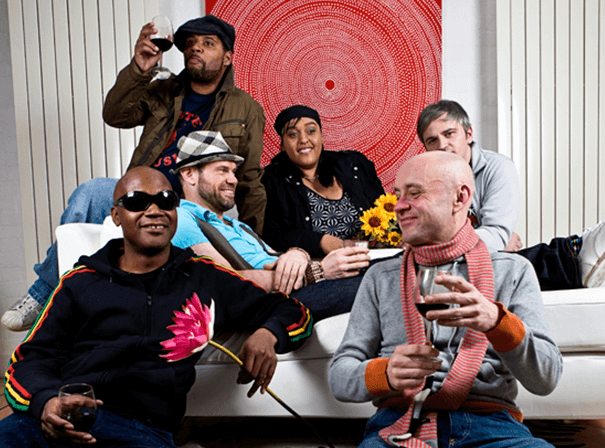 Forming in 1998, the release of debut album Here Comes The Sunburst Band won critical acclaim with both old school heads as well as nu breed disco and house fans. Tracks like ‘Garden of Love’ and ‘Delicious’ became scene classics, championed by DJs from Pete Tong to 4 Hero to Dmitri from Paris. The follow-up album Until The End of Time featured cuts like ‘Far Beyond’, which all the top US hip hop guys still spin, and soul anthem ‘Everyday’ – a favourite with Annie Mac, Trevor Nelson and even Heston Blumenthal – who included it as one of his Desert Island Discs on Radio 4. Further albums like ‘Journey Intro’ opens with live strings and luscious vocals setting the scene for the 17-track opus. ‘Our Lives Are Shaped’ is a nod towards the East London 2 step soul, sound system days and next up is a slinky rework of David Bowie’s ‘Fashion’. ‘I’m a big Bowie fan,’ says Dave. ‘And I wanted to retain the funk but replace the rockiness with a jazzy boogie vibe, then take it off into another direction instrumentally in the second half.’ ‘Sitting on Top Of The World’ harks back to the uplifting disco of Earth, Wind and Fire with a message to keep your ego in check, whilst the stomping ‘Days Gone By’ remembers the innocence of youth.